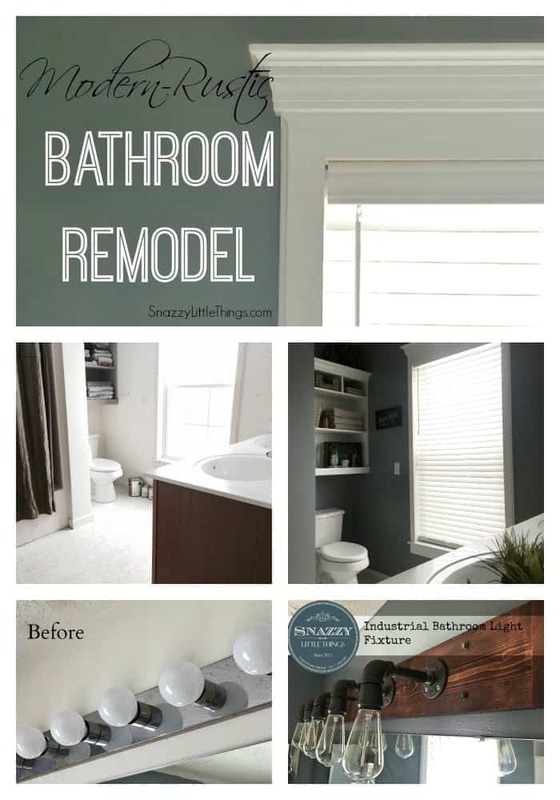 Bathroom Remodel — here are all the projects that we tackled in this space. 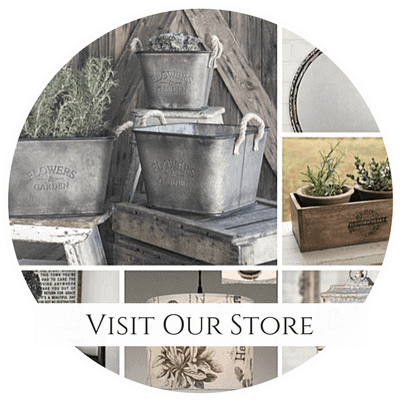 Be sure to subscribe and follow along with all of our DIY projects! We are about a week and a half into our bathroom refresh. I wouldn’t call it a full-on bathroom renovation yet since we are mostly doing surface and cosmetic fixes just to make the space more livable. 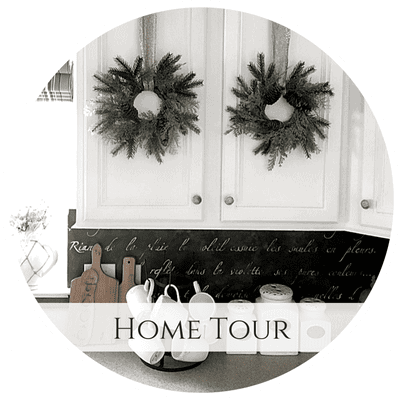 Our goal was to make this project a priority on our 2015 DIY to-do list. I followed my own advice (see “6 Tips for Prioritizing”) when I assessed this room for what we could accomplish with a low-cost, high-impact approach to update the room. As mentioned in the article, I consider this “Phase 1” and we are dreaming of doing a much more intense upgrade soon. 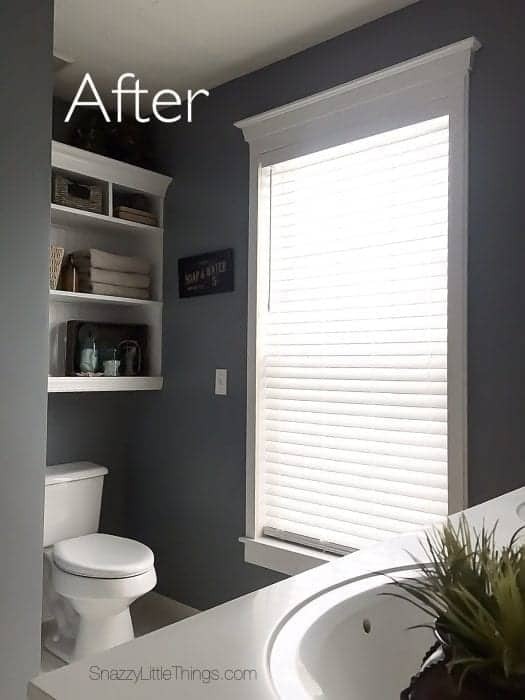 Replace old, ugly blinds with cordless, Custom Size Now Levolor® blinds – check! Paint the new molding – check! Have yet another debate over beadboard (I like it, he’s not a fan)- check! This project was back-burnered until we found the source of a mysterious water leak through our siding which was seeping through our drywall. Once we found the leak, we could finally tackle this space. My favorite part of this room so far are the new blinds from Levolor. We had these custom cut and hung the same day we bought them. These blinds are exclusively found at Lowe’s and are cut-to-width free of charge. 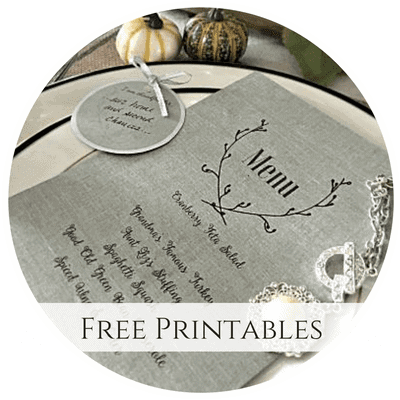 Instead of waiting for a special order to arrive, you can take them home same day. (Which is great for impatient DIYers like me who throw away old blinds in haste). The blinds are cordless, which is important because having a dog is a lot like having a toddler in the house. The white blinds inspired us to go with white trim throughout the room for a nice, clean look. 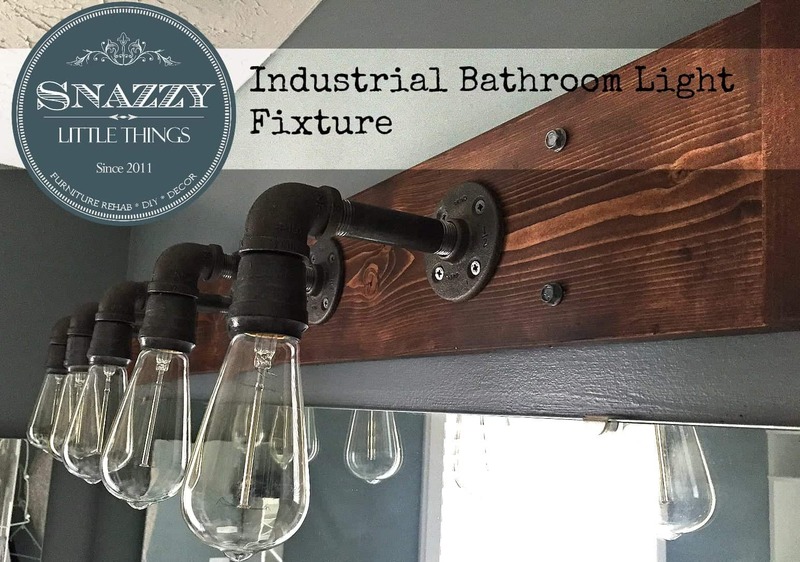 To add to our industrial theme, here is the the new vanity light made by Mr. Snazzy. We built a shelving unit with good intentions, but we could never get around to DIYing this room. Everything else seems to take priority in the house. …our master isn’t my favorite space. It’s kind of tiny as a master bedroom goes, and it feels like an afterthought in this floorplan. Our “master suite” includes the the main bedroom, a glamour dressing room….and this standard bath. (See our floorplan here). We also need more storage since there is no linen closet. Our master closet was too small…so we turned it into a dressing room. We added the Ikea PAX closet system on one wall, which reduced our closet size considerably. We are thinking of extending the Pergo Outlast+ flooring into our master bath. I would love to find an old sideboard and repurpose it as a vanity. I definitely want to rip out the dull white colored shower and replacing it with a gorgeous, tiled walk in shower. What do you think so far? Sometimes you just have to roll with the floorplan you have…and make it as livable as possible. It looks totally amazing. Love the changes. Good Lord, I could see that happening, lol! — and thank you! Looks awesome! I love that you went dark with the paint color so the bright whites pop. 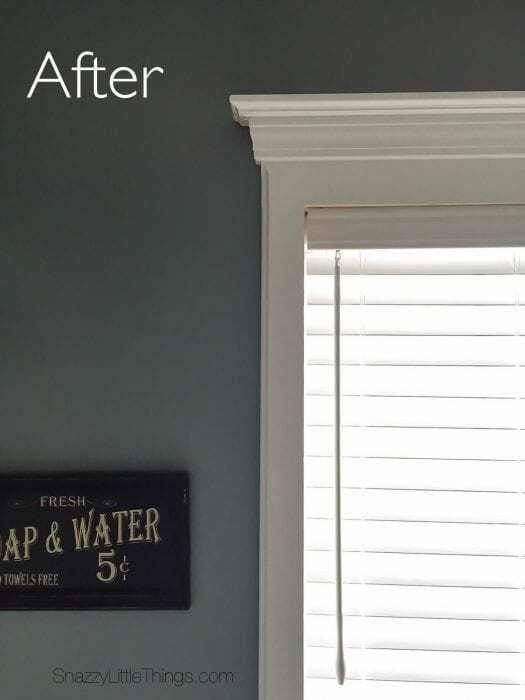 That molding along with the blinds really freshened it up. Love! I am loving the new changes, Jeanette. You have been very busy and the wall color is fabulous by the way!! 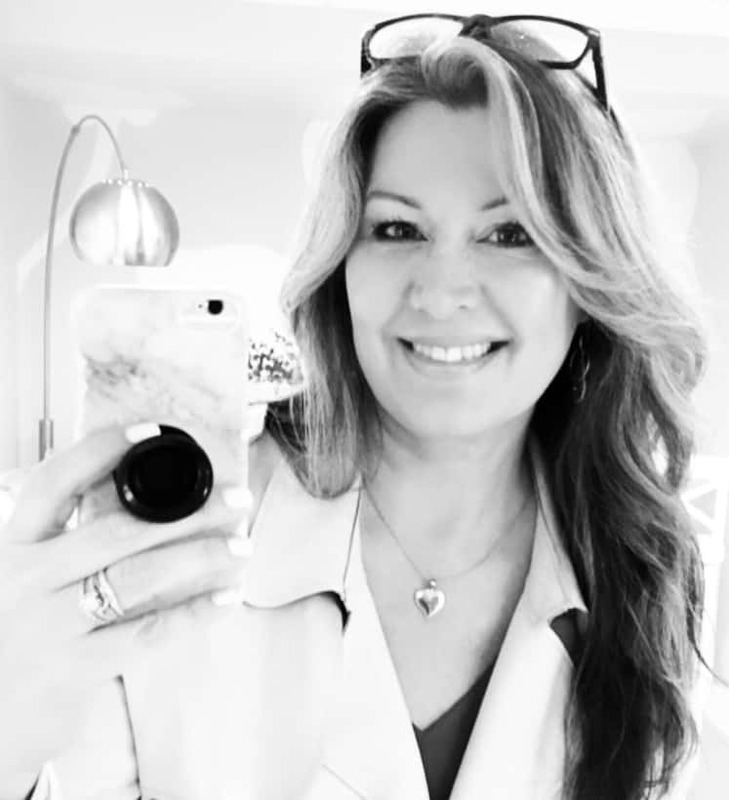 Thank you so much for stopping by my blog the other day. I appreciate the love. Have a great weekend and keep warm. Thanks so much, Vanessa. It feels so good to finally have this space functioning a little better. No linen storage has been a challenge, in addition to the structural issues. 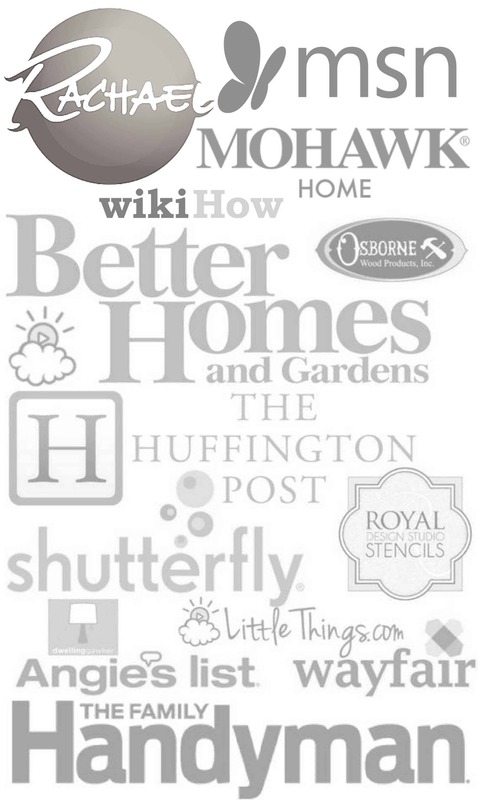 You bet, I love your projects and your blog. Wow, Jeanette! It looks fantastic! That window molding is gorgeous. Very well done! YAS! Always add a kraken when a kraken is an option! The bathroom is stunning as is, I can only imagine with all your aspirations for the space how absolutely beautiful it’ll look. Loving how the blinds look in their new home! Awesome job so far! The blinds make a huge difference, and I’m in love with the new light fixture … gorgeous! I love your new look! Everything came together so beautifully and your new blinds are the perfect choice! It all looks so great! And I’m loving that vanity light. Extra points to the hubs for that one! It is looking great! Livable now!! Love the paint color you chose! Tell hubs the window frame looks great and the blinds complete the whole window! That light fixture is awesome! Pinning for the future! 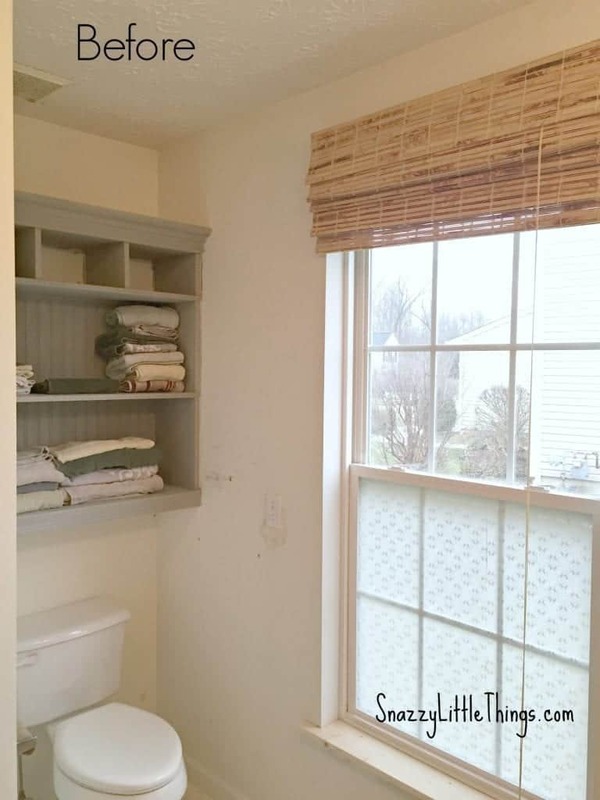 Also your blinds look great in the bathroom! Gorgeous! That’s quite a refresh. I had to laugh at #8 on your checklist. Sounds like our house! So beautiful. I’ve pinned it I’m so in love with this space. Lala –thank you so much, it’s not the luxury bath that I hoped for, but we are so much happier with this room now thanks to a little paint and the finishing touches. I appreciate you stopping by to comment. Did you mention the paint color that you used? I love it!